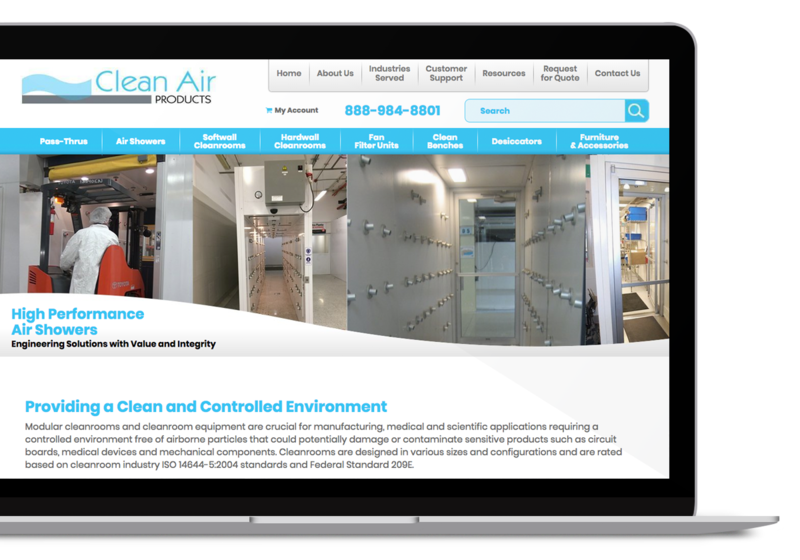 Clean Air Products, a nationwide leader in designing and manufacturing high-quality cleanrooms and cleanroom products, poured a lot of work into redesigning a new website, and the launch date was right around the corner. In an industry where attention to detail of the final product is paramount, having confidence that the new site had an improved Share of Voice in the marketplace was no exception. They enlisted Augurian to ensure that not only their website’s existing share of voice was protected and maintained, but also that website traffic and revenue from organic search would increase after the launch of their new website. Utilizing our SEO sprint model and Strategic Website Migration process, we developed and implemented a risk mitigation plan to protect current levels of revenue and organic search traffic. In addition, we developed an agile organic search growth strategy which allowed us to continually roll out new tests while measuring impact throughout the launch. This delivered the rapid feedback on performance needed to maximize results and ensure that post-launch traffic was increased, and continued to increase over time. Our core focus is driving business growth and helping our clients meet and exceed their goals. But, it is not enough to have killer strategy and real traction on execution. We truly partner with our clients to help them think smarter about digital and become more self-sufficient and, as a result, more profitable in everything they do. We’re proud of what we’ve accomplished together. Ready to Have Confidence In Your Digital Marketing? >> Let’s talk about what you want to get done.